Running an online store has become a lot more easier in the past couple of years. If you know your way around digital marketing, a small e-commerce business can be highly profitable. Still, there are some steps that are necessary to undertake and some decisions to go along with them. In this post, we’ll be discussing what you need to get started for launching a profitable online store. 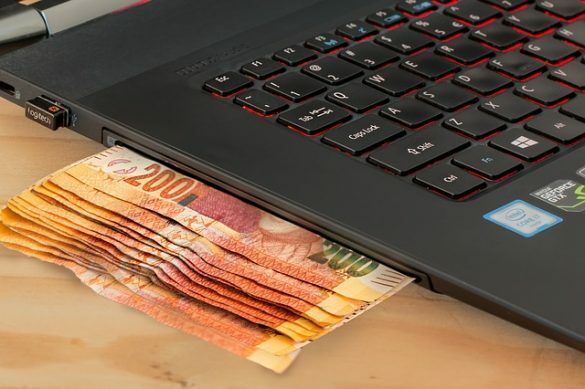 This is not just meant for business owners – knowledgeable marketers can take advantage of this opportunity and create side-hustle that has the potential to become a serious source of income. This is the first real step towards launching an online store. You’ll need to research and figure out which products or services you want to sell online. There’s always going to be competition in any niche that you can think of, and finding ways of standing out can definitely be a challenge. Remember, you don’t necessarily need to worry about creating and manufacturing a product. Dropshipping services such as Oberlo offer hundreds of great products that you can sell through your store and earn a significant commission on. There is no need to worry about warehousing, order fulfillment or shipping. 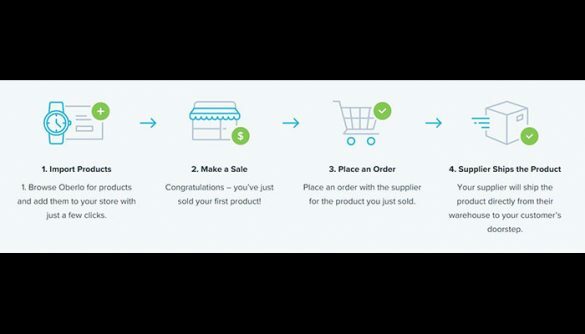 You simply advertise the products and any orders that are generated through your store will go straight to the dropshipping provider for fulfillment. It really is that simple. Once you have decided what you want to sell online, it’s time to take a look at other players in the business. Thoroughly research your competition so you know beforehand what you’ll be up against. This is a great time to brainstorm ideas on how to stand out and differentiate your value offering. Find out who their target customers are. Try spying on their social media accounts for this purpose. How are they differentiating themselves? Do they have a great website? Do they offer free shipping? Go through their website and see if anything stands out as a great value. What is their primary mode of advertising? 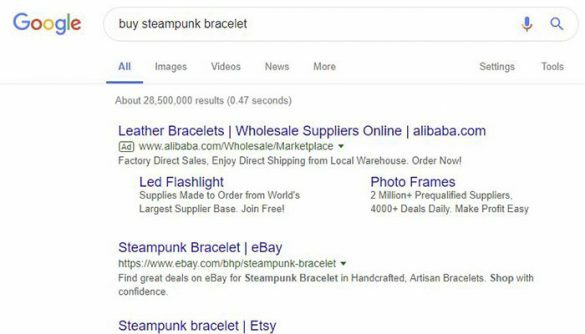 Try doing a quick Google search for products that they sell and see if any Google ads show up. Use the aforementioned tips to analyze multiple competitors and how they’re working to differentiate themselves from each other. This is where experience as an online marketer can definitely come in handy. Being an online business, digital marketing will be your greatest asset in ensuring profitability. You might have gotten to position one for blog posts, but ranking e-commerce pages is a slightly different matter. Before building your online store, take time in understanding the search engine optimization tactics used for ranking e-commerce pages. Remember, the core principles of SEO will still apply here, but you might need to approach them from a different angle. For example, you can use keyword metrics to determine what product niche you should niche. 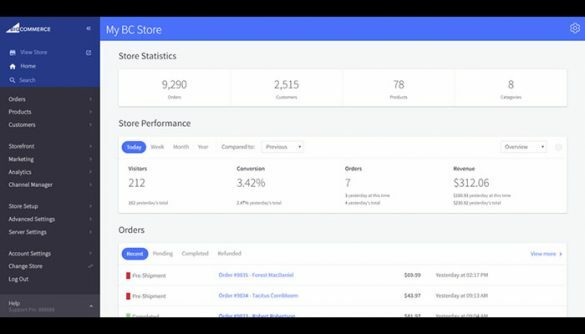 Using data from Ahrefs you can easily tell which products will be harder to sell because of stiff competition from e-commerce juggernauts like Amazon. Try different keyword ideas and see if there are any other small niche stores ranking on the first page. This means that it’s possible for smaller brands to come on top without facing competition from sites like Amazon. So now that you have pinned down what products you want to sell and what sort of competition you’ll be up against, it’s time to start thinking about a name for your business. Now, affiliate marketers and bloggers might instantly think of keyword-specific brand names that can later be capitalized for SEO purposes, but that can be incredibly short-sighted. Never create a brand name that is based on a keyword strategy. You need a brand name that stands out and is memorable. Customers do not care about keywords, they want a name that is catchy and easy to remember. At this stage, you should be ready to actually create the online store/website on which the products you want to sell will be displayed. Fortunately, creating an online store is easier than ever. Hosted e-commerce platforms such as Shopify, BigCommerce and Volusion make it simple to build an e-commerce site. Hosted e-commerce platforms are also very easy to use – easy enough that even a tech novice can create and launch an online shop within days. An online store will be practically invisible without a healthy dose of marketing. Marketing for e-commerce sites should be focused on a singular goal: driving qualified traffic to the site which results in conversions/sales. You can make use of a variety of digital marketing and advertising methods for achieving this goal. Facebook ads are a popular medium of advertising for niche products. Search engine optimization, while being a more long-term strategy, can result in excellent ROI via steadily growing organic traffic to your site. Building an e-commerce site can be a great challenge, but it can be an incredibly rewarding experience if done the right way. There is a definite learning curve involved here but the good news is that you will learn something new at each stage. The first sale that your store makes will probably be your greatest motivator, but to keep the ball rolling you must be willing to constantly learn and improve. We’re hopeful that this guide gives you a basic blueprint on what it takes to launch an online store these days. Thanks to modern technology, everything you need is available online – you just have to take the first step. This post was written by Vlad Mkrtumyan, a serial entrepreneur, SEO enthusiast and a passionate networker. He started his journey creating apps for the Google Play store during high school. In his early 20s, he developed a software product for real estate brokerages across the US. These days he focuses his efforts on learning and dispensing knowledge about search engine optimization, digital marketing and e-commerce.